I was so cross that it was not RANDOM STORY TIME. But I'm not crossed anymore because its RANDOM STORY TIME! This time its going to be a good one. Once there was a blogger and his name was Tommy and my name is definitely not Tommy. He was the best blogger in the world. He had 10,0000 subscribers. He posted stuff about cedar point. But then there was another blogger and his name was B-Series. He had 15,0000 subscribers. But something was wrong. His posts only had 5 views. Something was wrong. No one listened. The vinegar was sharp. It felt like it was cutting my tongue. It ruined the whole potatoe chip from Jimmy Johns. I was about to throw it away but I couldn't because it was from Jimmy Johns. I took the chips home. 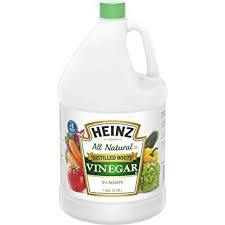 When I got home I scraped all the vinegar of and finally could eat my chips. But then I turned around and the vinegar built up and turned into a monster and the vinegar ate me. But you know what the good news was? I was at Cedar Point! And yes there is Jimmy Johns at Cedar Point.